Here are our Top 25 Best Sports Movies for Football. See how our selections match your picks for the best. If you disagree with the list, please feel free to show us your best sports movies by going to YOUR List and sending us your picks. We will be happy to include your list on our pages. For now though, sit back, relax and browse the top 25 football movies. 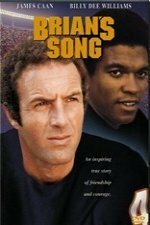 From Gayle Sayers' book, "I am Third", this made for TV movie is still the #1 football movie on our list. We have a soft spot for the underdog in movies that are "based on a true story". Another real life drama that keeps satisfying our thirst for watching the underdog conquer. Not sure why it took thirty plus years for this story to make it to the big screen. There must be other sports movies that haven't been made yet. If you think you know one, post it here for the world to see. A thirty year old bartender gets a shot at making the Philadelphia Eagles roster. Inspired by the true life story of Marty Maher, Tyrone Power stars as the scrappy Irish immigrant whose 50-year career at West Point saw him transformed from dishwasher to non-commissioned officer and athletic instructor. The movie documents the coach and players of a high school football team and the Texas city of Odessa that supports and is obsessed with them. Based on the true story of T.L. 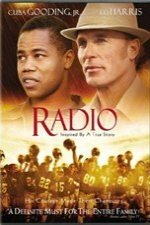 Hanna High School football coach Harold Jones (Ed Harris) and a mentally-challenged young man James Robert "Radio" Kennedy (Cuba Gooding, Jr.). 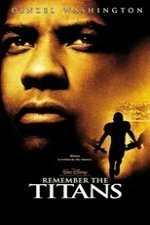 It is based on the life of Syracuse University football player Ernie Davis, the first African American to win the Heisman Trophy. This is our first football film that is not based on a true story, but it could be. It is about inmates at a prison who play football against their guards. Nolte plays the aging wide receiver, Phillip Elliott, who is struggling to stay competitive and relies heavily on the use of painkillers. Groucho plays Quincy Adams Wagstaff, the new president of Huxley College, and Zeppo is his son Frank, who convinces his father to recruit professional football players to boost the Huxley team's chance of winning. An over-anxious guardian angel on his first assignment (Buck Henry) plucks Joe (Warren Beatty) out of his body early in the mistaken belief that his death is imminent, and Pendleton arrives in the afterlife. 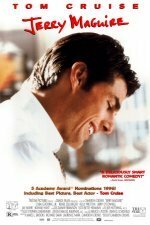 Tom Cruise as a top athletic agent who speaks out against greed in sports...and is promptly fired. The Freshman is a 1925 comedy film that tells the story of a college freshman trying to become popular by joining the school football team. Burt Lancaster delivers a fine performance as Thorpe, who battled alcoholism, fought prejudice and saw his medals taken away from him when the Olympic Committee discovered he played semi-pro sports. Based on a true story, this inspirational drama stars Dwayne "The Rock" Johnson as a probation officer at a California juvenile detention camp. All Tom Cruise wants to do is get a scholarship so he can get away from the steel mills as his future. oach Gene Hackman recruits a colorful assortment of has-been and never-were players to take to the gridiron for the pro Washington Sentinels during a labor walk-out. "Bear" Bryant's brutal, boot camp methods pushed his players to their limits in order to turn them into winners. Rockne's life, from his discovery of football during childhood and his fleeting attempt to follow an academic path to his invaluable contributions to the sport. Veteran quarterback Dennis Quaid finds his spot threatened by flashy backup Jamie Foxx. Re-make of the 1971 classic by the same name. 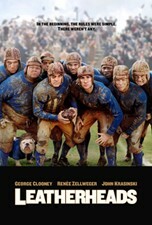 Good enough to be in the top 25 footbal movies of all time. In an interview on The Late Show with David Letterman, Clooney mentioned the plot is loosely based on George Halas's signing of University of Illinois football star Harold "Red" Grange. Adam Sandler plays Bobby Boucher (pronounced "Boo-SHAY"), a socially inept (but also intelligent), stuttering, water boy with anger issues due to constant teasing and his mother's (Kathy Bates) excessive sheltering.